Preheat oven to 375 degrees. Add oil to a skillet over medium heat and saute onion and pepper and garlic until soft about 3 mins. Add spinach and cook for 30 seconds. Lightly grease 4 small ramekins. Divide spinach mixture between the ramekins and sprinkle with cheese. 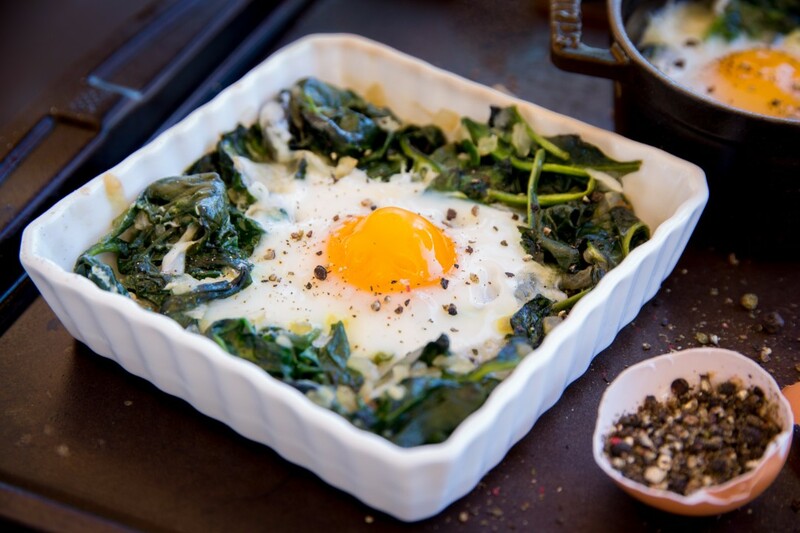 Crack eggs on top of each spinach cheese mixture and season with salt and pepper. Bake until eggs are set but yolks still runny, 12-14 minutes. Serve directly from the oven.